If you're throwing a party, be it an engagement party or a bridal shower or a birthday celebration, you can never have too much sparkle! 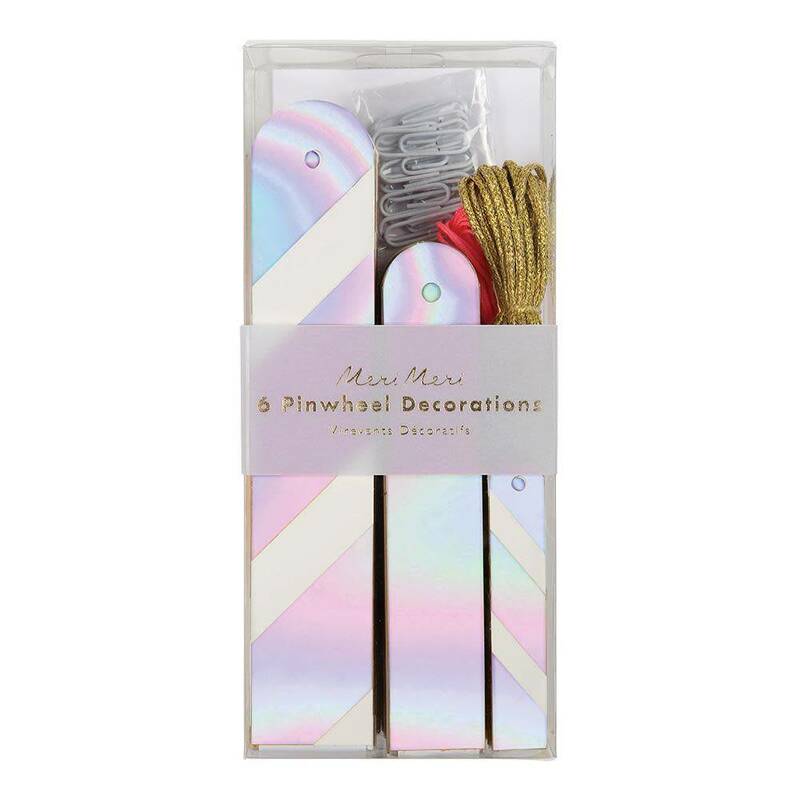 That's why we've come up with these stylish pinwheel decorations, embellished with shiny iridescent foil to create a shimmering effect. 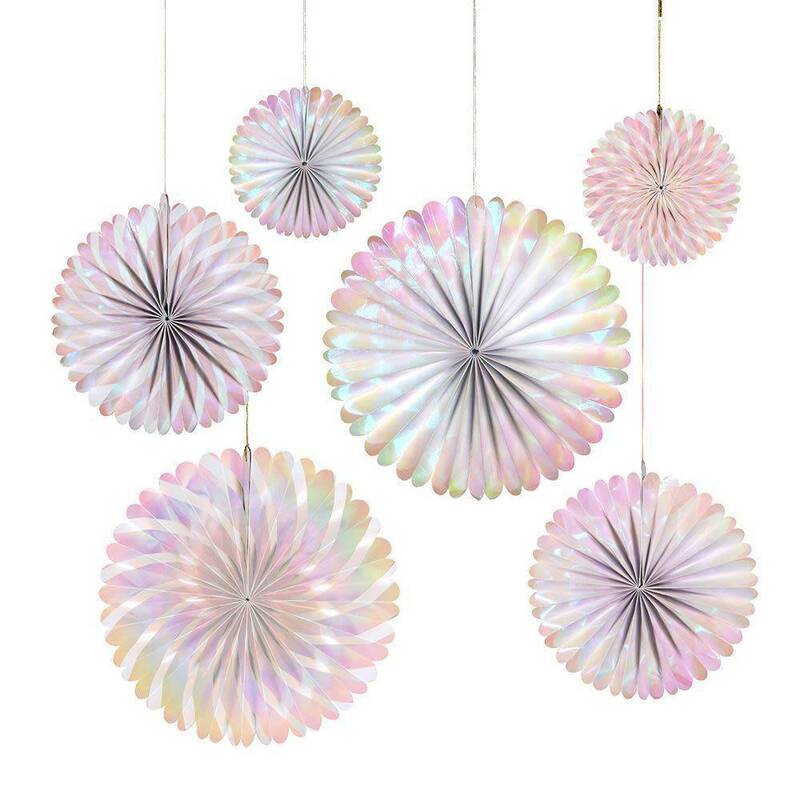 In three sizes, these six stunning can be suspended from a striking pink cord for a little extra party spirit.